This was my first read by JJ McAvoy and it won’t be my last, despite the rating. This book had the potential to be a four star read easily but for me my reader enjoyment was spoiled by a book littered with editing and proof reading errors. Normally one or two I can let slide but this book had so many it became a distraction and totally spoiled my enjoyment of what was turning out to be a great story. Thea was a strong character on the outside, she was a budding lawyer and was in law school at Harvard and was determined to succeed and she certainly had the heritage to make it. She had the best professor in the business and needed in to his group the twelve disciples. Every year Professor Black wheedled his class down to the last twelve standing and those twelve went to work at his firm and learned first hand how to become a lawyer. It was an elite group and she needed it more than the others. She was fiercely determined and vowed to succeed by any means necessary. She had that tenacity to succeed and I could see her making a fantastic lawyer, she had that fight. 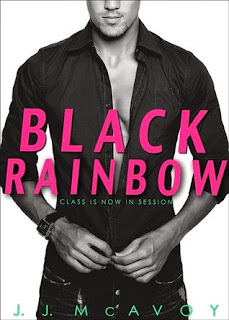 Levi Black made a great male lead in this book, he was cocky, he was arrogant…fantastic traits for a lawyer especially a good looking, smoking hot one!! I loved him with a passion. He had never lost in the court room, another string to his bow and of course another boost to his already huge ego, but he could back it up. Professor Black was intense; he didn’t take fools lightly and was determined to skim the crème de la crème from his classes. While he was a hard arse he was fair to those that put in the time and effort and showed him they had ability. He wanted to help them succeed. I do love my court room books and to see the workings of court cases behind the scenes and their trains of thought was highly amusing and interesting to say the least. While I thought that the author used some artistic license in amongst these court cases it didn’t bother me at all, I thoroughly enjoyed what I was reading and read it for what it was. I loved the way the author defined her characters, we do not have the stereotypical leads here. As I said above, Levi was the cocky, arrogant git, but underneath he had that vulnerable side and romantic side and wasn’t afraid to show it, he put himself out there despite the consequences. For him, what he felt for Thea had never happened before and despite the initial tooing and froing, he realised that this was something worth fighting for and he put his neck on the line to get it. Thea on the other hand didn’t really show any emotion at all, at least not in the beginning. She was extremely closed off, but she had her reasons. She had her goals and nothing was going to stop her from obtaining them, not even the distraction of a smoking hot professor…until that distraction becomes an all-consuming obsession. I loved the relationship that Levi and Thea had; they complimented each other brilliantly and were just what the other needed. Their relationship was believable and I was championing for them to succeed. Sometimes you just meet the right person at the wrong time but sometimes the wrong time can become the right time if you want it hard enough. I am not going to go into the plot at all, because there are some twists and turns that you need to experience for yourself. This book was perfectly balanced with wit and humour throughout along with the hot and steamy and the twists and turns. It made for a page turning read. As I said above, if it wasn’t for the plethora of errors this would have easily been a four star read, but I did really enjoy the story none the less.